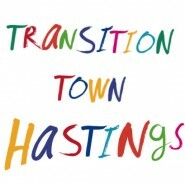 The Refill campaign, which aims to minimise the use of single-use plastic drinking bottles in Hastings, is run jointly by Hastings Green Party, Transition Town Hastings and Surfers Against Sewage. 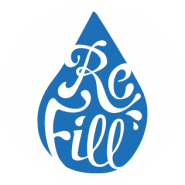 Local businesses are encouraged to put a Refill sticker in their window to say that they’re willing to refill drinking water bottles for free. The scheme has an App to download, which gives the location of participating businesses. Local resident, Colin Derbyshire is committed to marine protection and has organised a beach clean for Spring 2018, working in collaboration with Surfers Against Sewage. The sea is our USP here in Hastings and St Leonards on Sea, so it makes sense to look after shores. Help clean the beach on Sunday! Surfers Against Sewage, the beach cleaning movement, are holding their Autumn Beach Clean on Sunday 29 October. “We will be cleaning the stretch of beach running from Glyne Gap, back towards Hastings. You are invited to take action with thousands of volunteers nationally to help remove and recycle as many tonnes of marine plastic as possible, in order to create plastic free coastlines.” A message from Colin Derbyshire who’s organising this year’s event. Zelly Restorick writes.